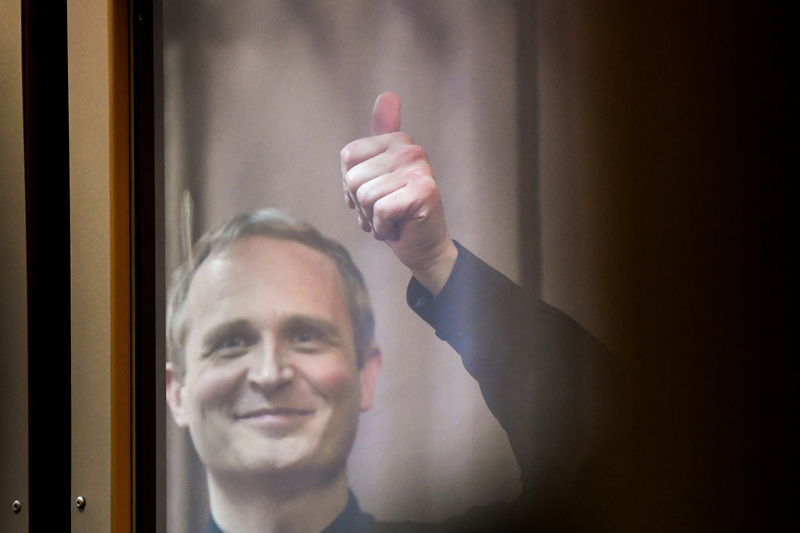 A Russian court sentenced Dennis Christensen, the first Jehovah’s Witness arrested after Russia deemed the religion “extremist,” to six years in prison Wednesday. Russian authorities arrested Christensen, a native of Denmark, in May 2017 during a raid on a Jehovah’s Witness Bible study in Oryol, making him the first of many Jehovah’s Witnesses to be arrested in Russia after the country’s supreme court ruled Jehovah’s Witnesses is an extremist organization and banned them. Jehovah’s Witness leaders lamented Wednesday’s verdict as a failure of Russia to uphold legally guaranteed religious freedom. “Everyone acquainted with Dennis Christensen knows that he has committed no crime. He received a six-year prison sentence merely for practicing his Christian faith. This verdict reveals just how fragile religious freedom has become in Russia. Jehovah’s Witnesses will continue to appeal for justice while supporting their fellow worshippers,” said Paul Gillies, international spokesman for Jehovah’s Witnesses, in a statement provided to The Daily Caller News Foundation. Christensen maintained his innocence throughout his pretrial detention and trial, arguing he was simply exercising his right to practice his faith, which he asserted is protected by Russian law. Christensen’s pretrial detention since May 25, 2017, will be counted one and a half times toward his prison sentence. Anton Bogdanov, his lawyer, said they plan to appeal the verdict 10 days from Wednesday. Bogdanov said he is concerned the verdict against Christensen will serve as a precedent for future prosecution of Jehovah’s Witnesses and other religious minorities who find themselves on the wrong side of the Russian government and the Russian Orthodox Church. The Russian government, in partnership with leaders of the Russian Orthodox Church and a France-based organization called FECRIS, has targeted religious minorities like the Jehovah’s Witnesses, Hindus and Hare Krishna adherents with harassment, raids and arrests in an effort to drive out of the country any religion that deviates from Russian Orthodox teaching, as they are deemed foreign influences. Russia even went so far as to ban the Jehovah’s Witness Bible and attempt to ban the Bhagavad Gita as extremist literature. Since Christensen’s arrest, the Russian government has brought prosecution against 120 Jehovah’s Witnesses, 28 of whom are under house arrest with another 24 in pretrial detention as of Thursday, Jehovah’s Witness spokesman Jarrod Lopes told TheDCNF.